Our soccer team has an opportunity to play soccer in Costa Rica this spring! Thank you in advance for considering supporting this effort through Schwan's Cares. 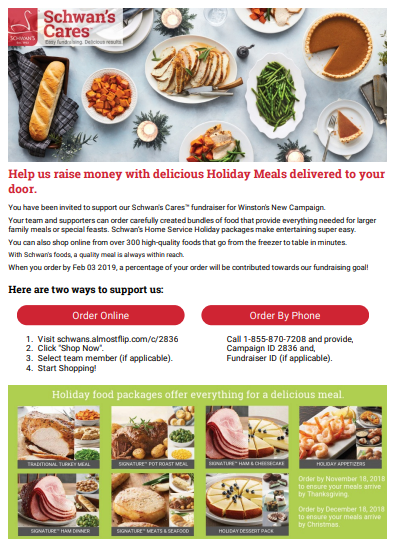 By placing an order through Schwans.com, a portion of the sales will come back in support of our campaign!